Rahu and Ketu are shadow planets and not visible. Both are viewed as major malefic. 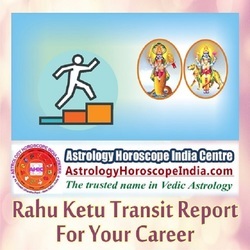 Rahu and Ketu traverse through one sign for around eighteen months. Both move in retrograde mode. If moving favorably, progress in Career is to be notable. You get an important task to work upon. Hike in remuneration, incentive is assured.